The most researched substance in the world right now. Cannabidiol (CBD) is one of many natural compounds found in the cannabis plant, classed as a cannabinoid. It has drawn the most attention recently as a key driver behind the legalisation of cannabis due to its extraordinary abilities to help fight disease and promote health and well-being. 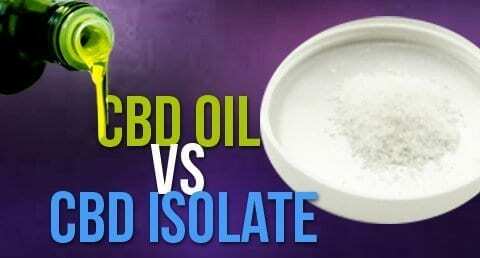 WHY IS CBD OIL SO GOOD? The reason cannabidiol (CBD) has so many reported benefits in humans is that we are all born with cannabinoid receptors scattered throughout our entire body. We are designed with the ability to absorb and use cannabinoids in order to support optimal health. The main receptors, called CB1 and CB2 bind and interact with cannabinoids, resulting in the active compounds in cannabis to be extremely well absorbed and used by our bodies. Aside from cannabis, there are other plant-based foods such as chocolate and black pepper that contain cannabinoids, as well as the small amounts that we naturally produce. Unlike tetrahydrocannabinol (THC), the cannabinoid in cannabis responsible for the famous ‘high’, CBD has no intoxicating effects, in fact, it actually helps reduce the intoxicating effects of THC when they are used together. CBD is commonly consumed as an oil and is extracted from the resin glands of the female cannabis plant. The chemistry of cannabis quite complex. There are over 400 chemicals in cannabis with about 80 unique cannabinoids not found in any other plant. These cannabinoids as well as their terpenes which give plants their smell, are the main focus of research and where most health benefits are coming from. The cannabis plant is responsible for so many more therapeutic compounds beyond just cannabidiol. While CBD alone can be a powerful tool for improving your health, extracting and consuming singular molecules like this is not necessarily the optimal solution. Want to learn about the cannabis plant? In our knowledge base we break down everything you need to know about cannabis from how it works in the human body, to all its molecular components and how to use it. Cannabis contains over 100 different compounds called cannabinoids where CBD and THC are a couple of the most abundant and well researched. These cannabinoids are generally extracted from the resin created by the cannabis flower. There is a growing mountain of scientific evidence to support the use of the cannabis plant in medicine. Here you can view the research for more than 40 conditions than cannabis and its extracts can help with. CBD, THC and other cannabinoids fit like a lock and key into a series of receptors spread throughout the human body called the endocannabinoid system. This receptor system comprises of two different types of receptors, CB1 and CB2, which each serve distinct functions in human health and well-being. Currently in New Zealand possession and growing of cannabis is illegal, however due to strong public pressure this will change in the near future. In 2017 laws loosened around cannabis extracts and its use as a medicine due to the growing amount of evidence to support its benefits. It is now legal for a doctor to prescribe pharmaceutical grade CBD oil. It is ILLEGAL to buy CBD oil and other hemp or cannabis oils online and bring it into NZ. As of March 1st 2019, CBD oil and cannabis products are unavailable over the counter in New Zealand but prescription oils are available. If you have a doctor open to the use of CBD oil, they can apply to supply you with CBD oil (Tilray) or a pharmaceutical grade CBD/THC formula (Sativex), see the government resources here. Sign up here if you would like to be notified and updated on the availability of CBD oil and cannabis products in New Zealand.